Charles-François Daubigny (French, 1817-1878) was born in Paris into a family of painters. He is generally associated with the Barbizon School and known for his landscapes painted from observation. In 1849 he met Jean-Baptiste-Camille Corot, who became a friend and major influence on work and ideas. In 1959 he built a studio boat, nicknamed Le Botin (The Little Box) which he travelled and lived on, painting his favorite subjects: river scenes, boats and life near water. It was this Botin that inspired Claude Monet to build a studio boat as well and in fact Daubigny's art was a major influence for the Impressionist movement. Toward the end of his life, Daubigny's painting style became looser and more rapidly applied, but his devotion to the French landscape and river life remained unaltered. 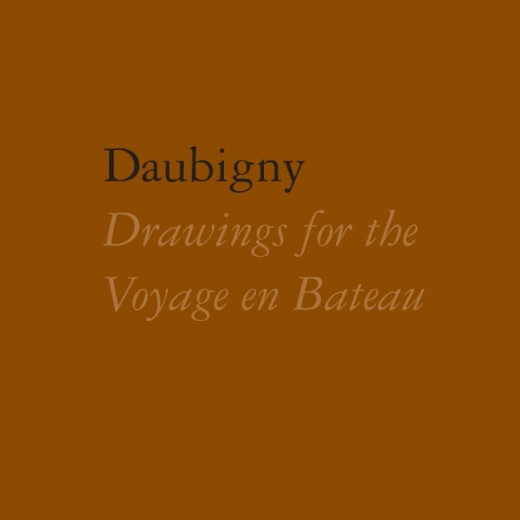 Daubigny was also an accomplished draughtsman and a pioneer of print making. His most famous print series is Le Voyage en Bateau. 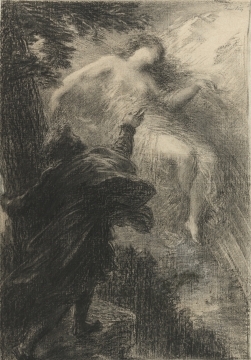 He also made drawings, often in red or black chalk, and some watercolors.